What happens when the Starfinder crew from Roll For Combat run into the Pathfinder Iconics from Order of the Amber Die? Pure insanity with a side of craziness! 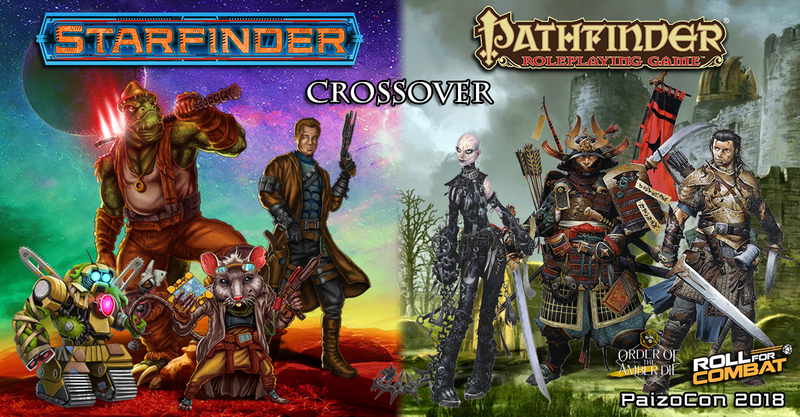 Recorded live at the Roll For Combat & Order of the Amber Die talk from PaizoCon 2018, this Pathfinder/Starfinder crossover was the first of its kind and created specifically for PaizoCon. Can the two teams work together and save the day? Or will they kill each other before it’s over? Or can they figure out a way to do both at the same time?! Find out!